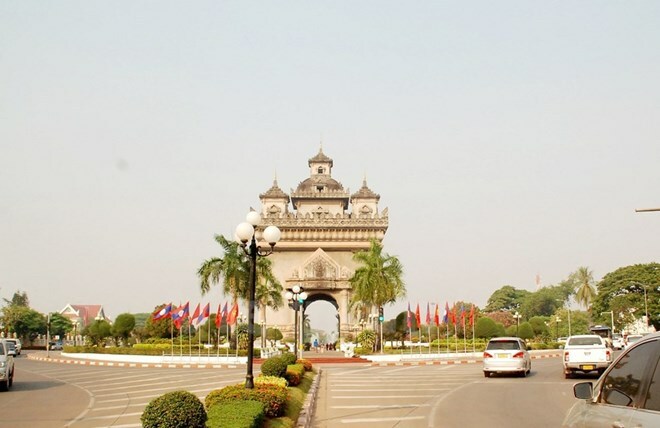 Vientiane (VNA) – Economic growth in Laos is expected to remain stable in 2019 and 2020 – backed by the expansion of the agriculture, energy, industry, and service sectors – according to the Vientiane Times’ quoting of the latest report of the Asian Development Bank (ADB) on April 4. The Asian Development Outlook (ADO) 2019 forecasts Laos’ gross domestic product (GDP) growth to remain at 6.5 percent over the next two years. Laos’ industrial production is anticipated to edge up slightly to 8.1 percent in 2019 from 8.0 percent in 2018, mainly due to sustained infrastructure development and increase in electricity generation. The agriculture sector is expected to expand by 2.5 percent this year and next, while the service sector is expected to grow by 6.7 percent, thanks to the government’s efforts this year to attract tourists from China and neighbouring countries. Inflation is projected to remain at 2 percent in both 2019 and 2020 as global oil prices are forecast to be lower than 2018 and food prices remain subdued due to the recovery in agricultural production. The current account deficit is expected to widen to 9.5 percent of GDP in 2019 and 10 percent in 2020.